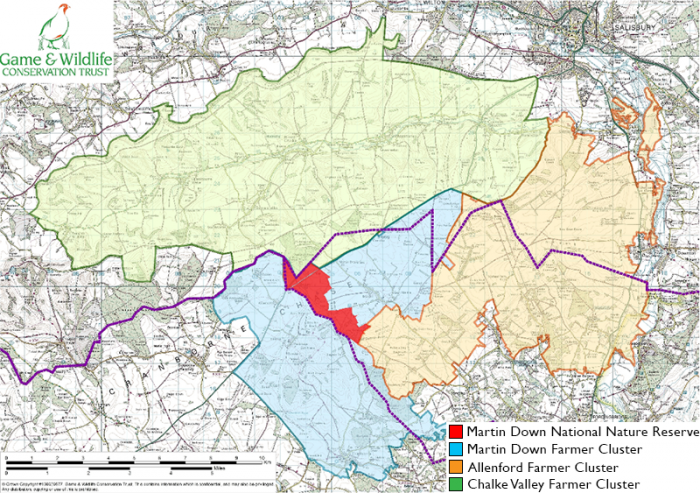 The Martin Down Farmer Cluster was formed in the Cranborne Chase area of Dorset and Hampshire in 2016 and is one of three Farmer Clusters surrounding Martin Down National Nature Reserve. Together, this ‘supercluster’ cradles the nature reserve, covering an area of 236 km2. 43 farmers across the three clusters have united in their aim to protect and enhance the iconic and threatened wildlife of Martin Down. Their priorities include turtle dove, hedgehogs, harvest mice, arable flora, bumblebees, soil organic matter and chalk downland links. 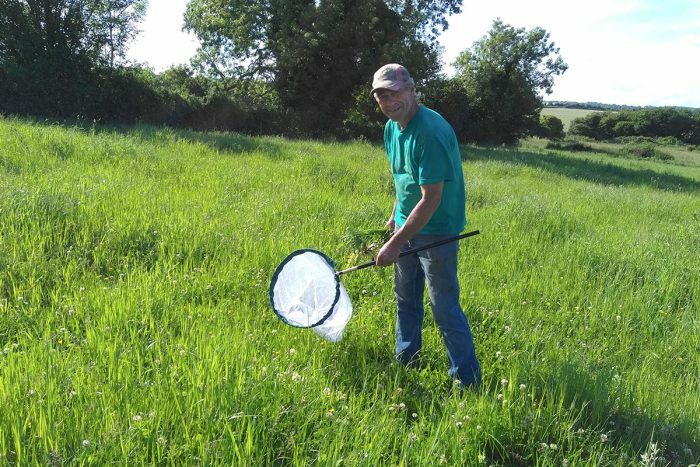 Jess Brooks, the GWCT Biodiversity Advisor who facilitates the Martin Down Farmer Cluster, joined the project in January 2017 and since then has set about designing and deploying a long-term wildlife-monitoring effort to track the cluster’s progress. All 11 farmer members have participated in the monitoring, aided by local residents, skilled volunteers, farm staff and family, and placement students. Over 4,200 species records have been submitted as part of the 2017 baseline surveys. 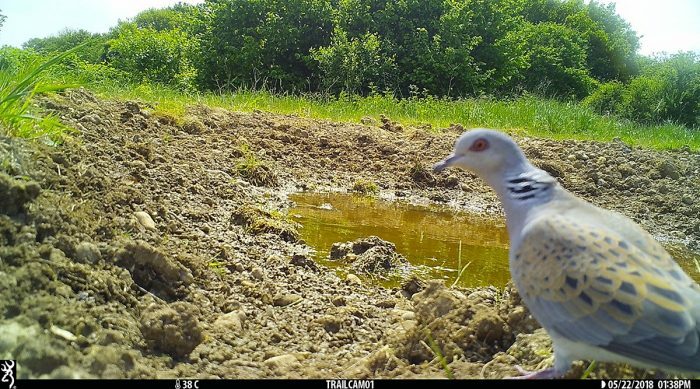 Thanks to this baseline monitoring, new nesting sites have been found for high-profile declining species such as turtle dove, and new colonies of rare butterflies such as small blue have been identified. Three farms have been newly recognised as of County or National Importance for arable flora. While there were previously no records in the cluster area, harvest mouse nests have been found on every farm. Corn buntings were only recorded on the nature reserve prior to 2017, but surveys revealed 75 new territories on surrounding farmland. Residents in the Martin Down area have taken an interest in the project, such as joining the farmers in a landscape-scale hedgehog footprint tunnel survey. The Martin Down Farmer Cluster is piloting a ‘Friends’ group, which anyone living within the cluster area can join subject to farmer approval. These local people can attend farmland wildlife events, get updates on the conservation activities in their area, and participate in surveys. A tour of a wild grey partridge restoration project in June 2018 attracted farmers from miles around. The Martin Down supercluster has hosted several visits for government officials and large landowners, to share with them our experience of landscape-scale conservation. Jess represents the Martin Down supercluster at the Southern England Regional Facilitators Group, which was set up in 2017 to enable the Farmer Clusters in southern England to network; share experiences, ideas and advice; and to help promote Farmer Clusters more widely.